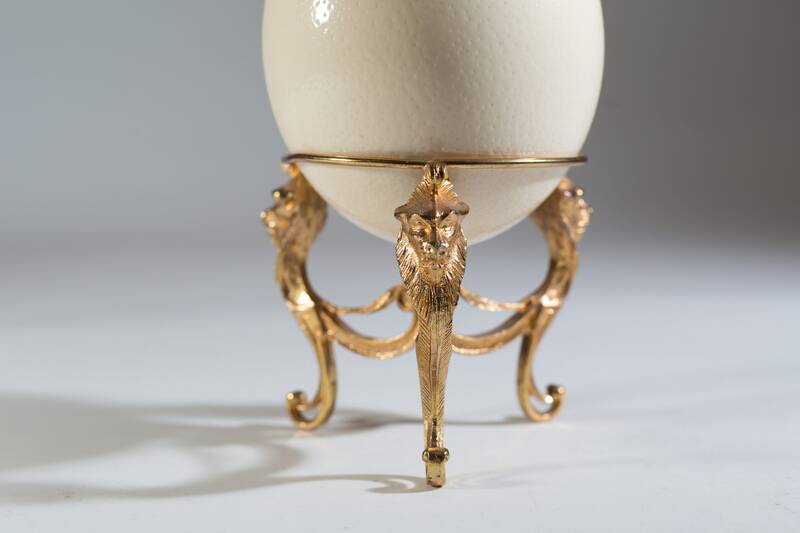 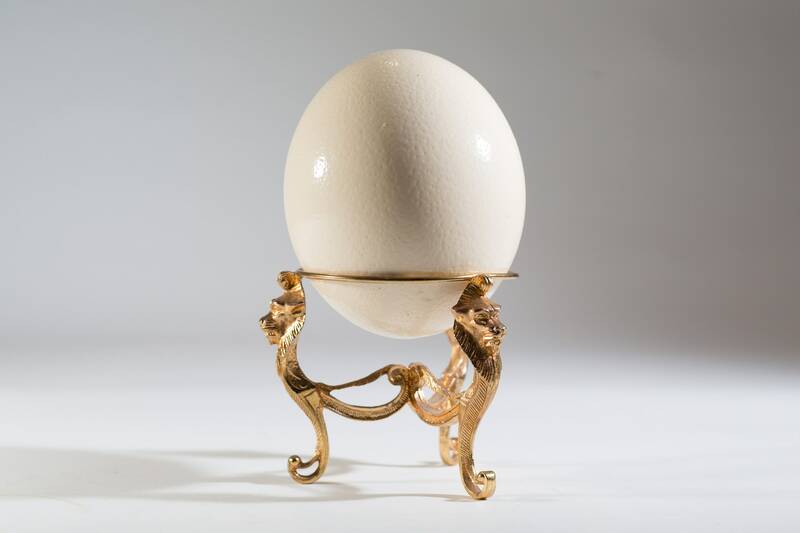 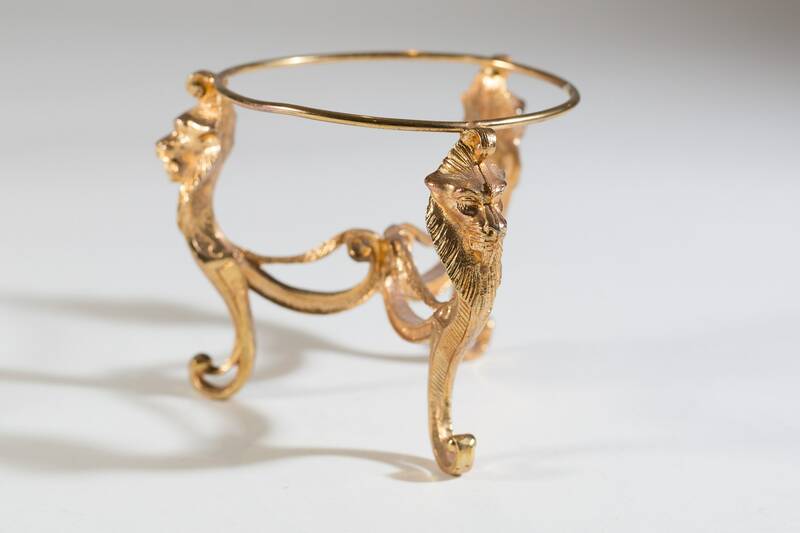 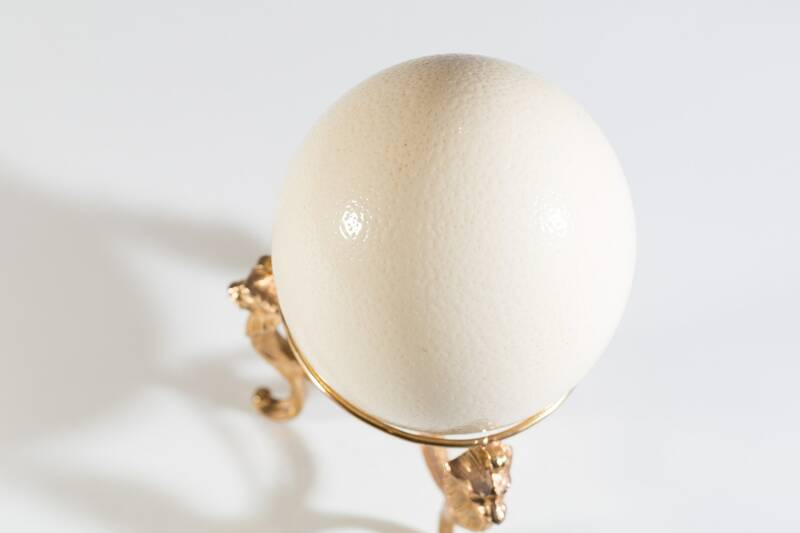 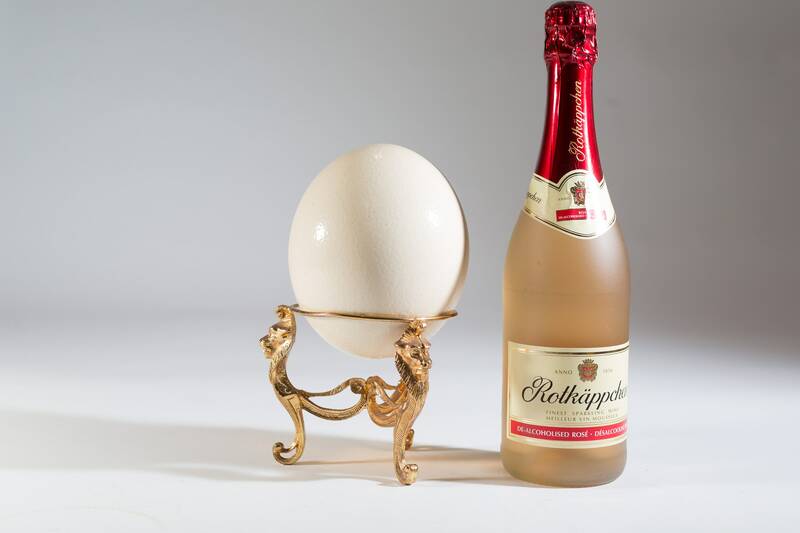 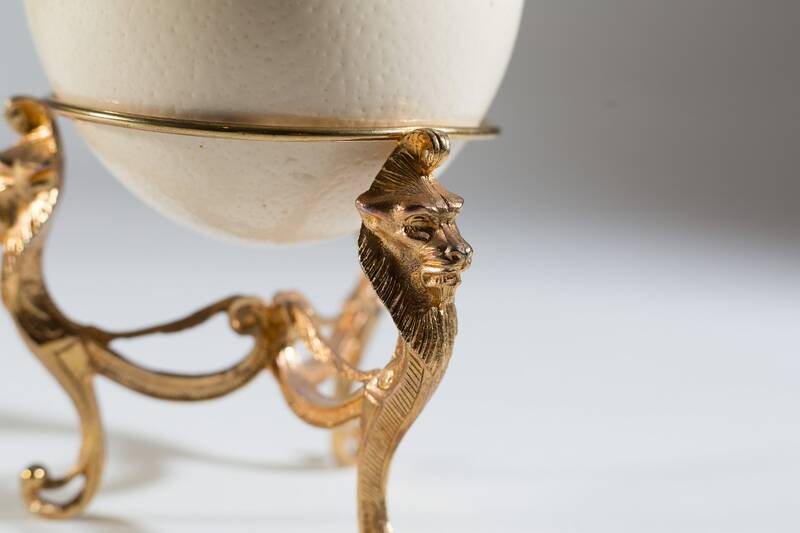 This is a rare and wonderful vintage ostrich egg vessel with a gold couloued stand with 3 lions. 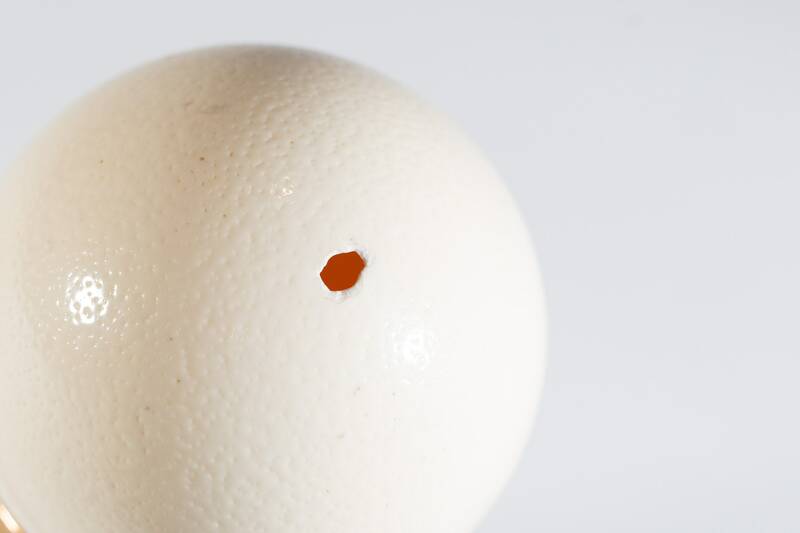 The egg is hallow with a small hole at the bottom. 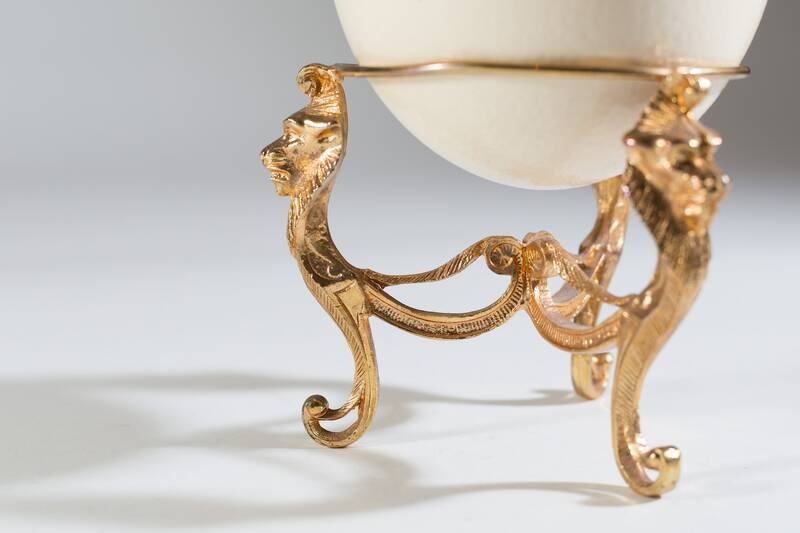 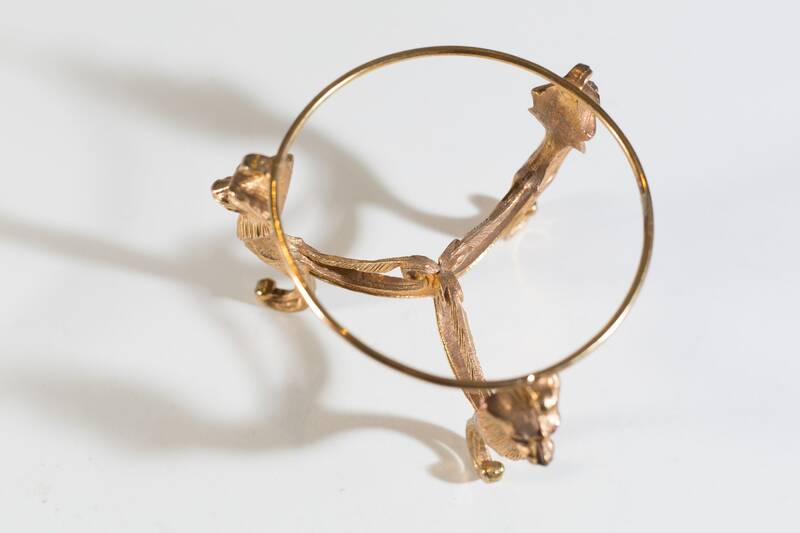 An absolutely magnificent piece of outstanding quality and detail.